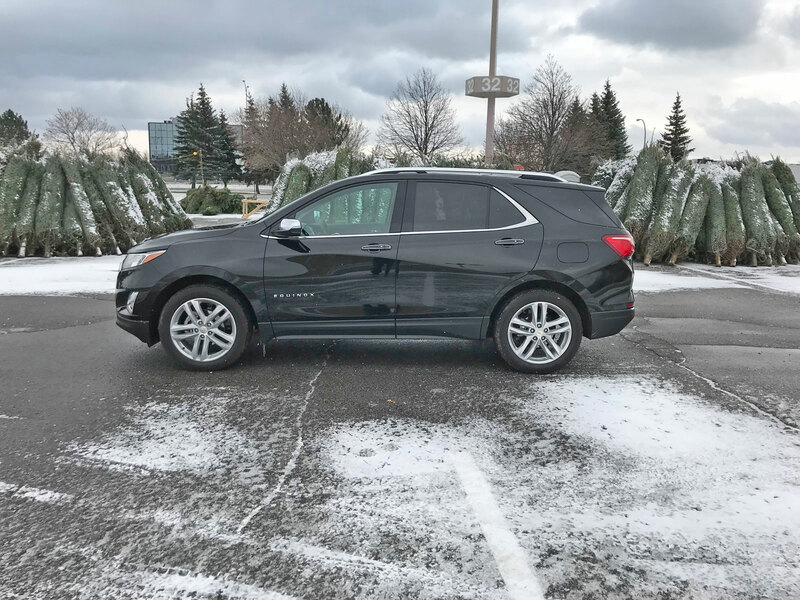 The 2018 Chevy Equinox enters into Chevy’s reinvigorated lineup as a slightly smaller version of its former self: It’s now a compact crossover as opposed to the mid-size crossover it began life as. Clad in Chevy’s sleek new design language, the vehicle is now light years more visually appealing than its predecessor. 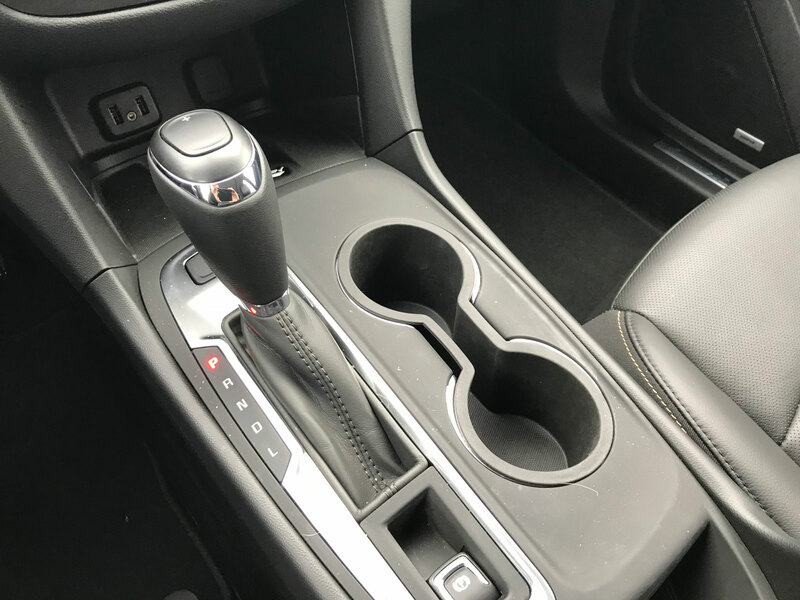 Cues and sculpted shapes seen in the Volt, Malibu and Cruze are present and Chevy says extensive aero development in the wind tunnel influenced the shape. Projector-beam headlamps are standard, along with LED daytime running lamps. 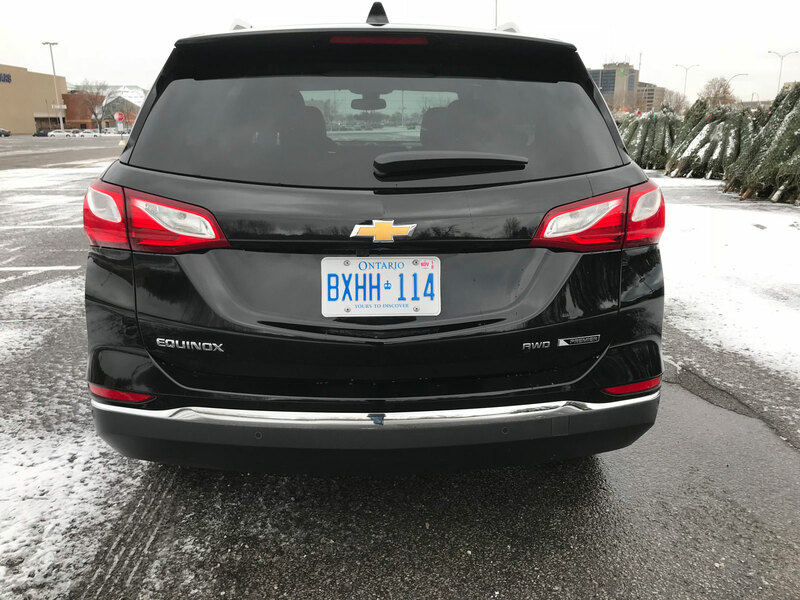 At the rear, horizontal tail lamps emphasize the Equinox’s wide stance, while higher trims feature LED tail lamps. Additionally with its all-new design and smaller size, the design team has managed to shave nearly 400 lbs from the previous model. 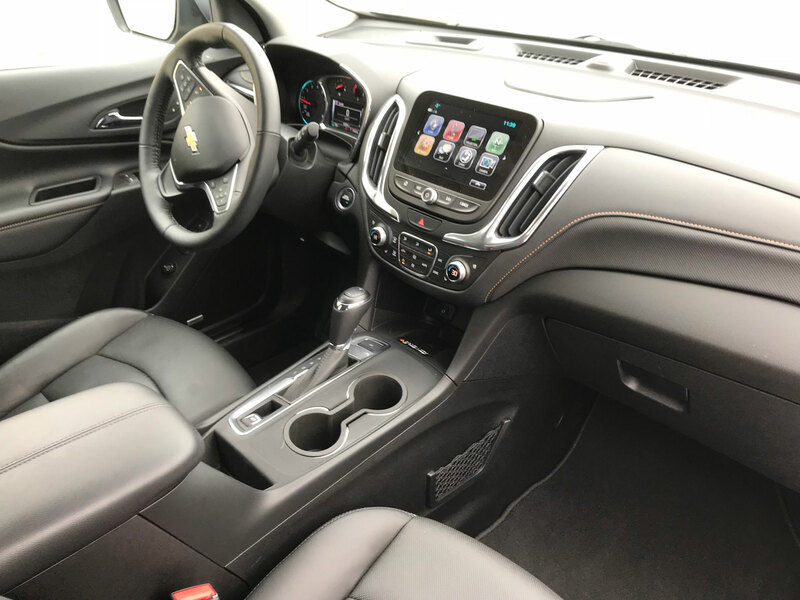 Likewise, Chevy has done an impeccable job with the interior layout and ergonomics. The Equinox is comfortable, functional and visually appealing. 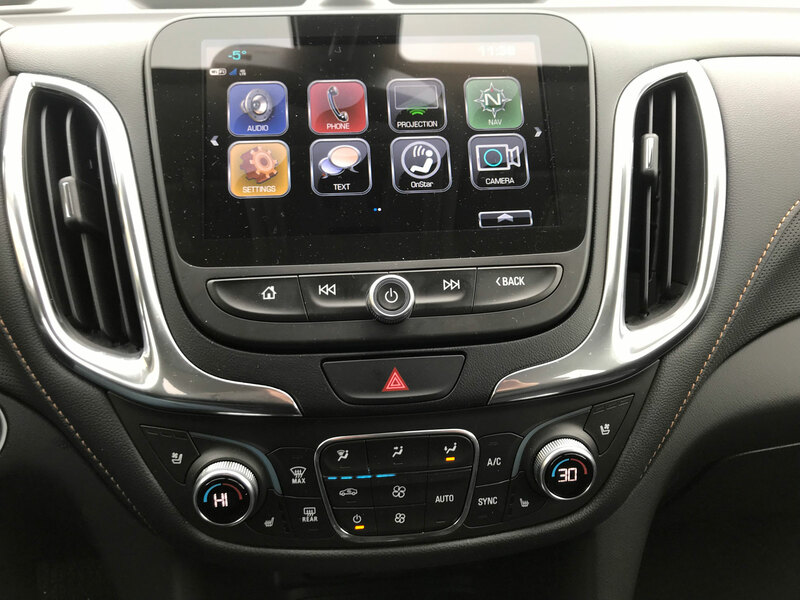 You’ve got 7- and 8-inch-diagonal MyLink infotainment systems designed to support Apple CarPlay and Android Auto, as well as an available OnStar 4G LTE Wi-Fi hotspot. MyLink is fairly intuitive and easy to use which comes as no surprise as the American manufacturers consistently make better interfaces than their European or Japanese counterparts. I would have made the screen a little close to the driver though as you need to reach a little to get to it. 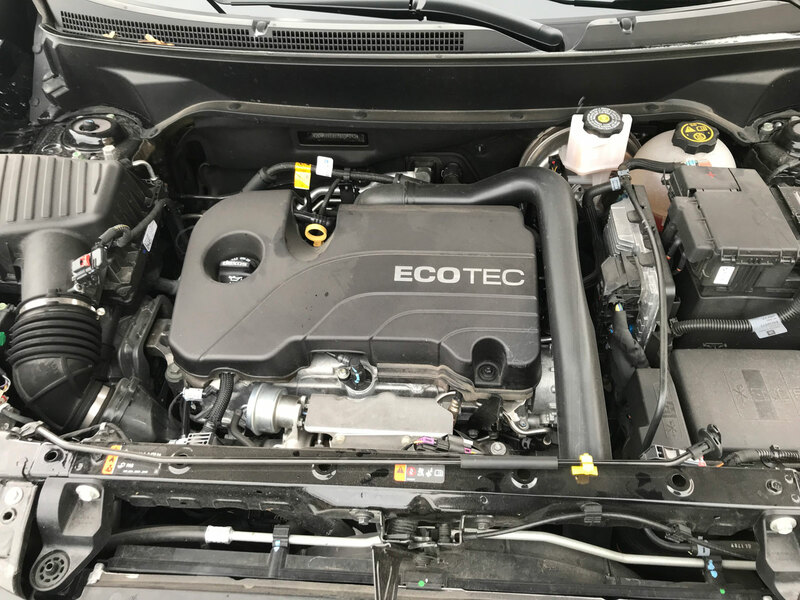 A range of three turbocharged engines — including the compact SUV segment’s first turbo-diesel in North America — provides lots of choices when it comes to what’s under the hood. They include a 1.5-litre turbo, a 2.0-litre turbo — matched with GM’s new nine-speed automatic transmission — and a 1.6-litre turbo-diesel (all inline 4-cylinder engines). 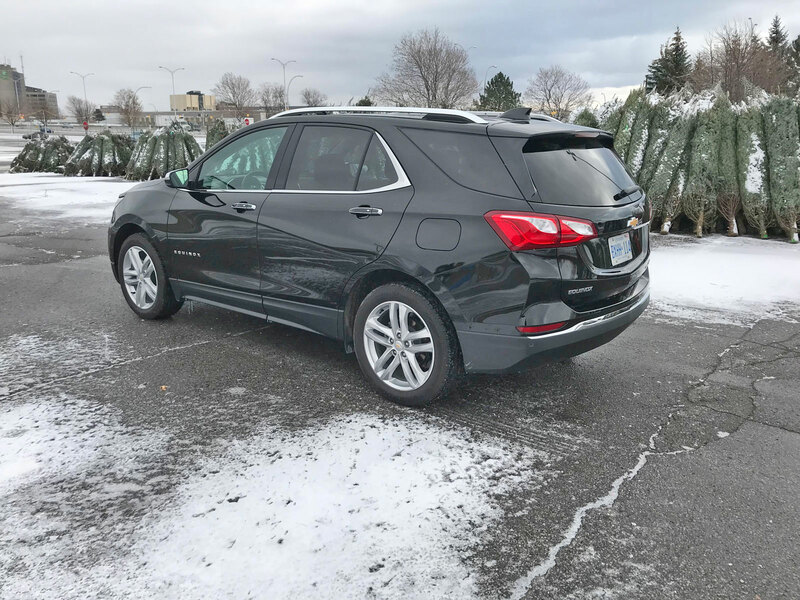 The test subject came with the 1.5-litre motor and it was powerful enough for daily driving duties to the kids’ school and back with its 170 horsepower at 5600 rpm and 203 lb-ft torque. The ease of the 6-speed automatic transmission and good throttle response made for a very enjoyable drive. Fuel economy for my all city driving habits came in at 11.3 L / 100km. The first snowfall of the year happened during my week with the Equinox so I had the chance to test out this crossover during the worst driving day of the year. For some reason everyone forgets how to drive in snowy weather over the summer and they require days or weeks to figure it out once again. 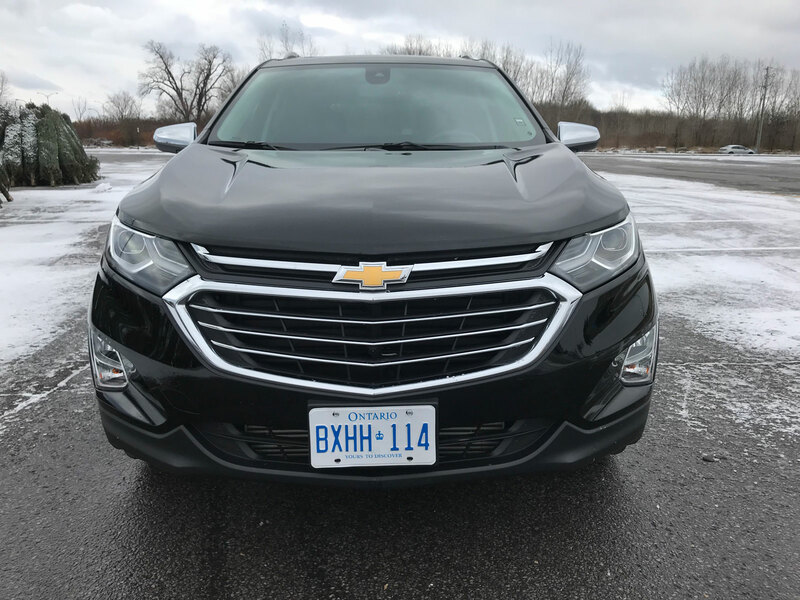 The Equinox’s all-wheel drive system and smooth drivetrain were saving graces and allowed me to successfully navigate around the general public who were like pylons on an autocross course (ok maybe not that bad but you get the point). 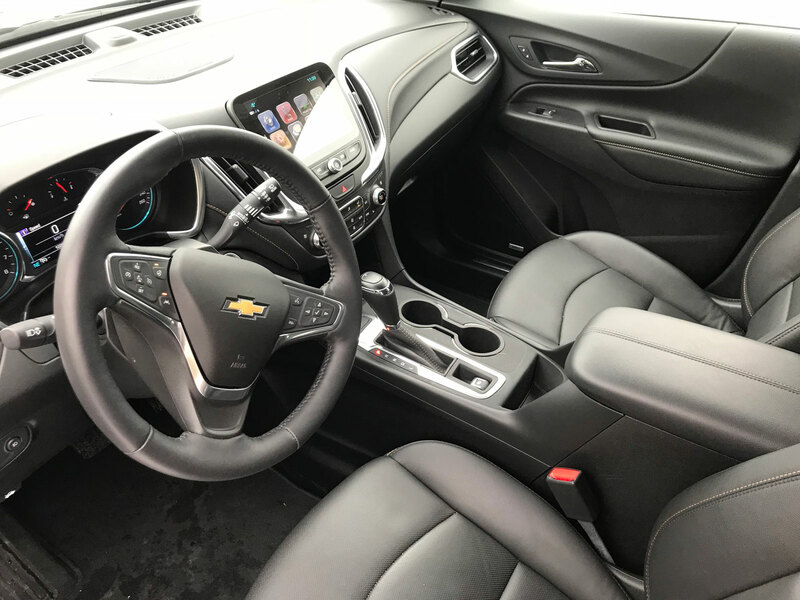 I appreciated the Equinox’s comfortable seating and good visibility. The large two-panel sunroof is a nice touch and brightens up the interior very well. The interior materials are pleasant to the touch and are seemingly well-made however I do question how long things will stay this way. Initial quality is one thing but long term durability is something I find GM has struggled with in the past so this remains to be seen. Chevrolet re-enters this cut throat segment (maybe even THE most cut throat) with what I think is a product that should be able to compete with the likes of the Honda CR-V, Mazda CX-5, Ford Escape, Nissan Rogue, Volkswagen Tiguan, Hyundai Tucson, Kia Sportage and Toyota Rav4. 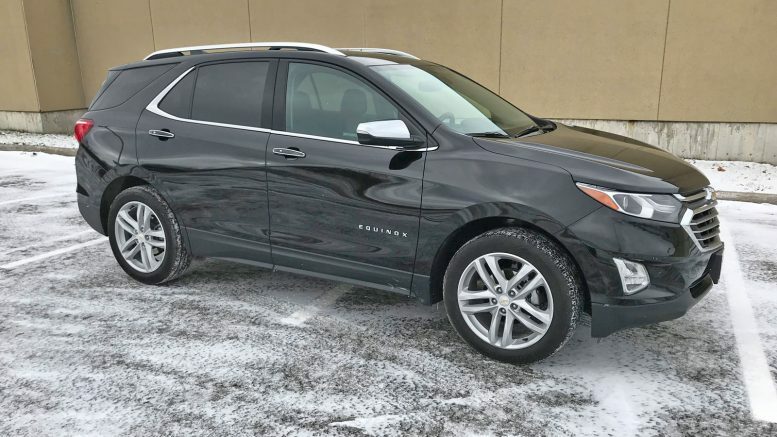 Don’t forget the sibling to the Equinox is GMC’s Terrain which is also new and improved so if you’re not quite sold on the look you have another option to choose from. So what are we looking at in terms of price? 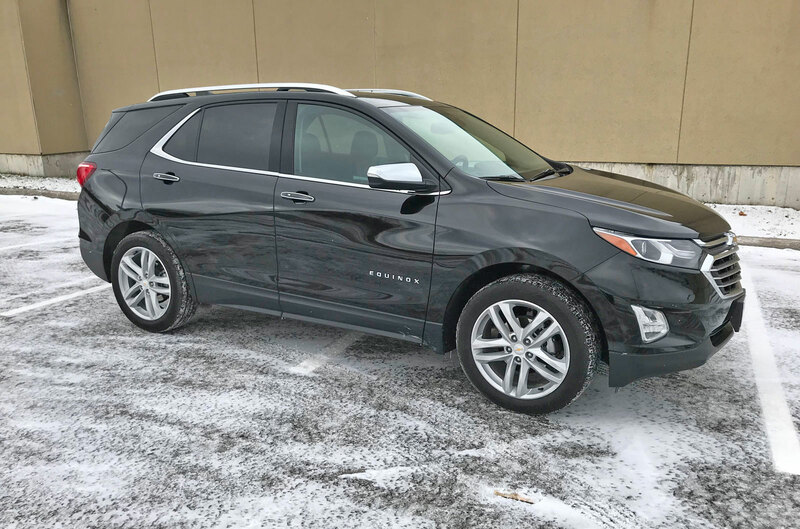 The base Equinox LS starts at $27,590 but with all-wheel drive you’re looking at $29,990. 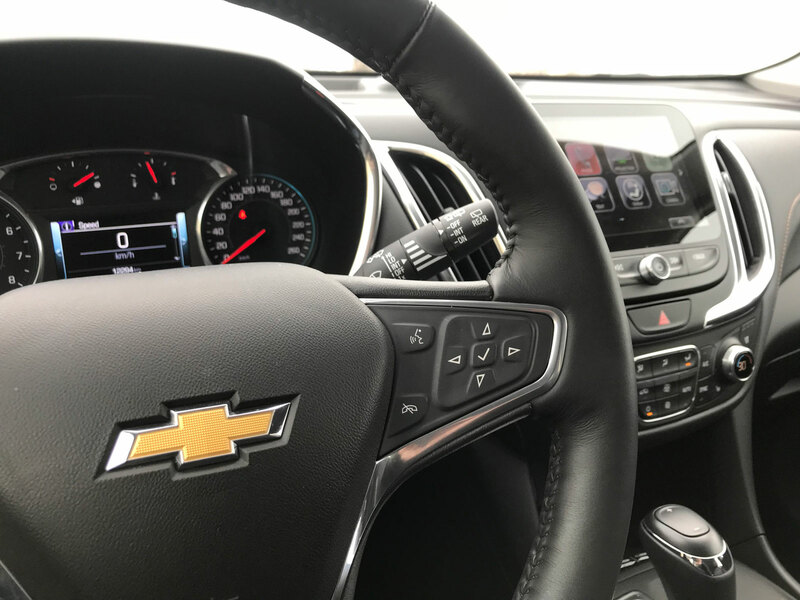 The list of standard features remains long including Android Auto, Apple CarPlay, a touch-screen infotainment system, proximity key entry, push-button start, Chevy’s Teen Driver system, OnStar with 4G LTE, a Wi-Fi hot spot, and voice command. 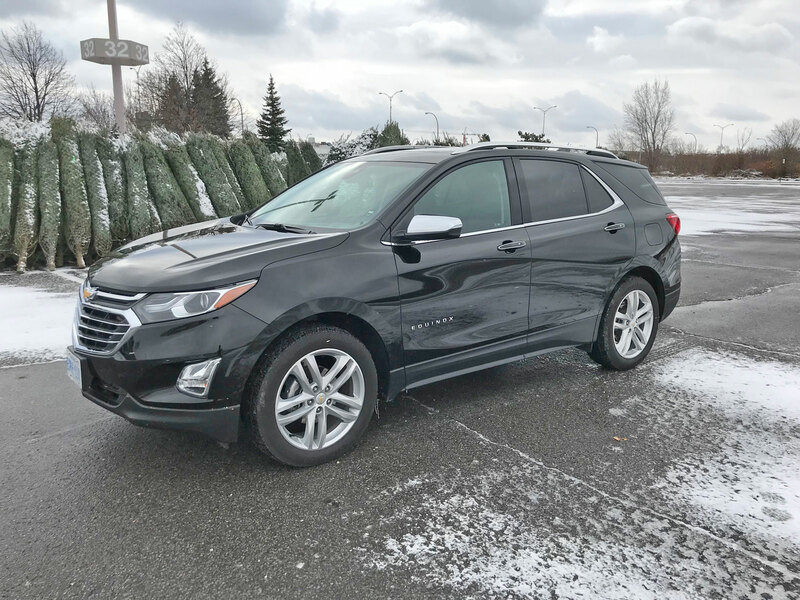 The tester was an Equinox Premier ringing in at $35,195 and with options topped out at $40,490. 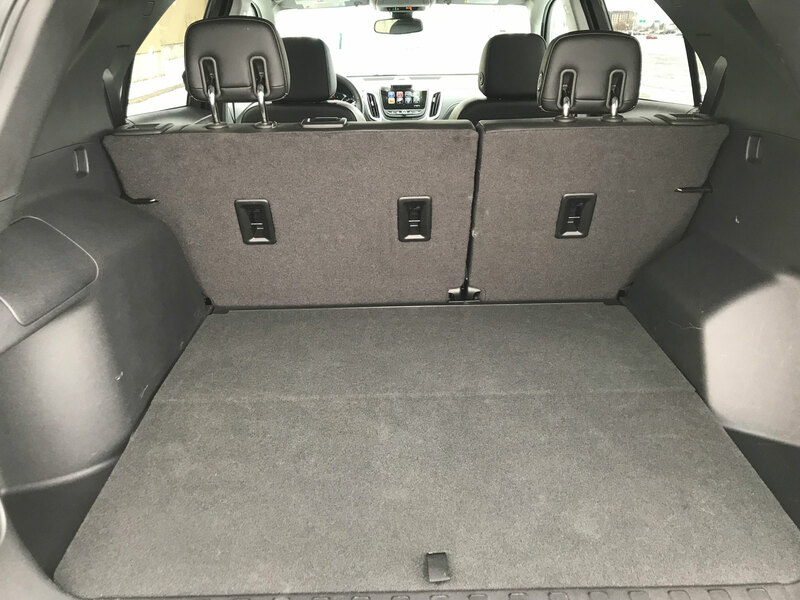 The True North Edition package includes a power sunroof, 19-inch wheels, navigation, a Bose speaker system, HD radio, surround vision, lane departure, lane assist, front collision alert, heated rear seats, heated steering wheel and an 8-way power passenger seat. I won’t list all of the different trim levels and their features because it’s long and cumbersome. 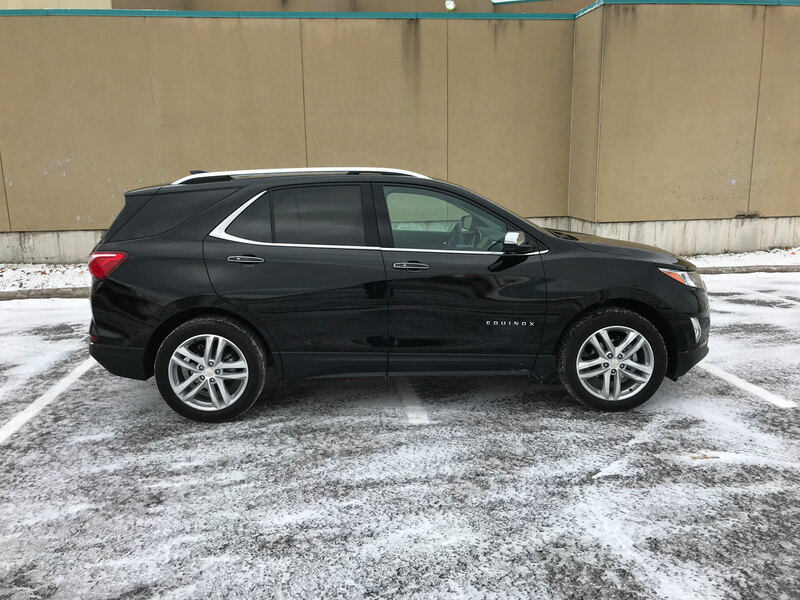 Chevy’s naming scheme need s reboot because trying to explain to a customer the difference between The Equinox LS, LT, LT 1LT Package, LT 2LT Package, Premier, Premier 2LZ Package and Premier 3LZ Package cannot be an easy job. 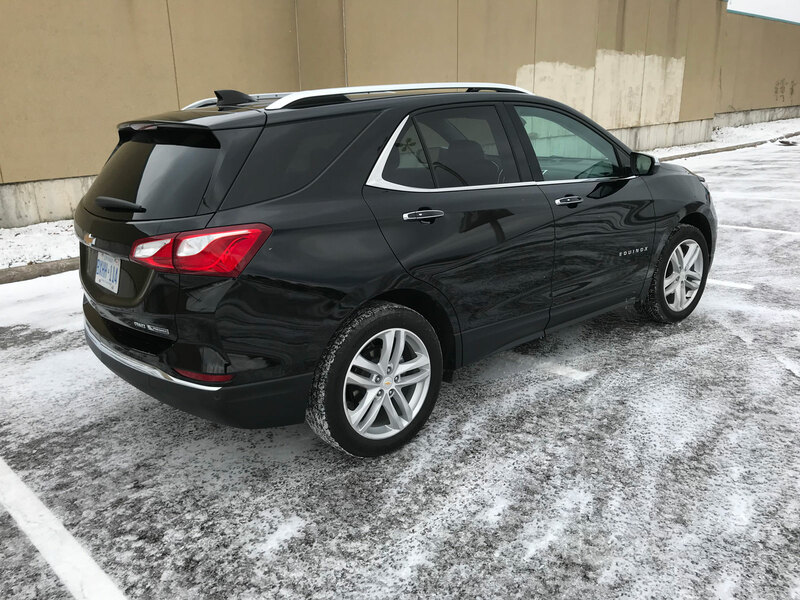 My lasting impression from driving the new 2018 Equinox was overall a positive one. They have improved the product mightily and given it enough value to enter the compact crossover segment and do some damage. The vehicle is well worth a try if you are in the market.